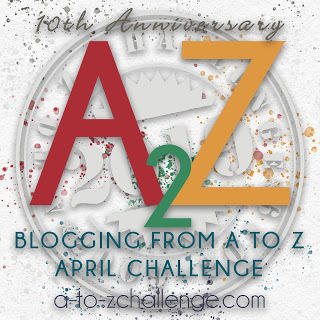 It’s time to participate in the April A-Z Blog Challenge. I will be blogging every day in April, with Sunday’s off. The topic for each day will begin with the designated letter of the alphabet. Today’s letter is E for Elevator. I bet everyone has an elevator story. I do. Mine was the elevator in a hospital. Hospital elevators are probably the worst of elevators to get stuck in. Think about it. Those who are riding in a hospital elevator are most likely in a heightened emotional state to begin with. If there are more than four people waiting with me, then I hate being one of the first to get on an elevator. That’s because the first people in are herded to the back. I like to refer to my stature as petite. It sounds more delicate and refined than just plain short. The day of my elevator story, I happened to be one of the first ones waiting for the elevator. Soon the number of people waiting turned into a pack. The pack consisted of about 100 people. At least that’s what it felt like by the time the doors opened and everyone started piling in. It reminded me of one of those clown cars, except in this case more and more people kept coming into the car. Every time another person stepped in I felt myself shrinking, getting more and more petite. Soon, I was scrunched up against rear wall with nothing but backs and shoulders three deep in front of me. Now, as you know, there is an elevator protocol. There is the person who stakes out his or her position as the designated elevator operator. That is, he or she make sure they are standing next to the “Floor”, “Door Open”, “Door Close” button panel. I’m certain that it’s a control thing. On this particular day, we all finally settled in. We each followed the rules of elevator etiquette, that is, face forward, head tilted up, and eyes glued to the Floor Number indicator light. The assigned elevator operator pressed the “close door” button. Just as the doors began to close, I saw a large hand attached to an even larger arm jam itself in between the two doors. The doors had no choice, they immediately opened back up. Mind you, I did not think this elevator could hold one more person, not even a petite one more person. This man was hugely gigantic. I know that most people seem that way to me, but this guy was big. I would guess he was nearly seven foot tall and weighed in at 300 pounds. If I could only have seen the looks on everyone’s faces when he stepped in. Of course, being in the back and all, I couldn’t. However, I did hear a crescendo of group air sucking when the floor of the elevator shook and dropped as Big Man squeezed the rest of his largness inside this now seemingly tiny little box. Okay, so now Big Guy took over as elevator operator. He pushed the “Close Door" button. The doors closed, but the elevator didn’t move. We all waited, eyes forward, staring at the floor indicator light. But there was absolutely no movement. “Push the button again,” someone said. This whole event probably took place within a matter of a minute. But I’m sure I don’t have to tell you that we were all in a state of mob anxiety caused by classic elevator claustrophobia. Big Guy pushed the “Door Open” button. We all held our breath. At least I did anyway. The doors opened. We all breathed a sigh of relief. At least I did anyway. Big Guy got off. We all breathed another sigh of relief. Yeah, at least I did anyway. The original elevator operator resumed his duties. He pressed the “Close Door” button. The door closed and the elevator began to ascend. I thought about it afterwards. After I was safe and sound, standing on firm ground. First, I felt sorry for Big Guy. He knew he was the cause of the elevator not being able to lift him. I was sure he must have had to frequently face all sorts of obstacles like that. My second thought was, as I said at the start, we all have an elevator story. Yet, we all get back on. Personally, I would rather take the stairs. But then again, stairways in a building, particularly a hospital building, are usually gloomy and desolate. You do have an elevator story, don’t you? Why not check out some of the other 2033 participants in the April 2014 A-Z Blog Challenge. I suppose after multiple incidents of getting stuck, I would most definitely take the stairs, too. Totally agree with you on not liking elevators. I prefer the stairs to 3 stories. Yes, I guess most people don’t even consider stairs if there are elevators available. Just reading that story made me feel uncomfortable!! Elevators make my stomach turn, I'm all for the stairs if I can, but caring for my elderly mother I have no choice but to ride them. There is something about being enclosed inside a fairly small box with no windows, usually among a group of strangers that just sets the prefect scene for a panic attack. I've got a couple of elevator stories. Reading this one really caused a vicarious claustrophobia episode for me, though. All I could think was how horrible it would be if you got caught between floors with that many people crammed into that tiny space. You know when you think about it, writers have often used elevators to intensify a scene. People getting stuck, elevators crashing, someone trying to get away from an assailant. And of course there is the classic steamy “Fatal Attraction” elevator scene. A-Z Challenge U is for RedFoo Who? A-Z Challenge L is For I’m Listening, Are You? A-Z Challenge A is for Who Are You?